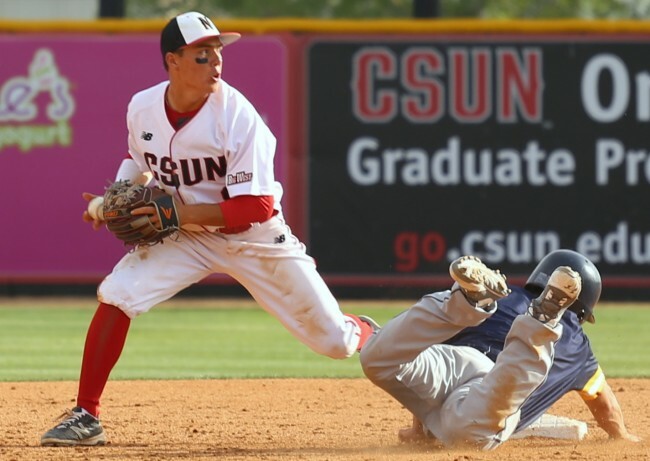 The CSUN baseball team outlasted Nothern Colorado on Friday afternoon matchup 5-2. The win put baseball over .500, at 3-2. It was a strong day on both sides for the Matadors as senior pitcher Rayne Raven had a solid outing on the mound going 6 innings and striking out 6. 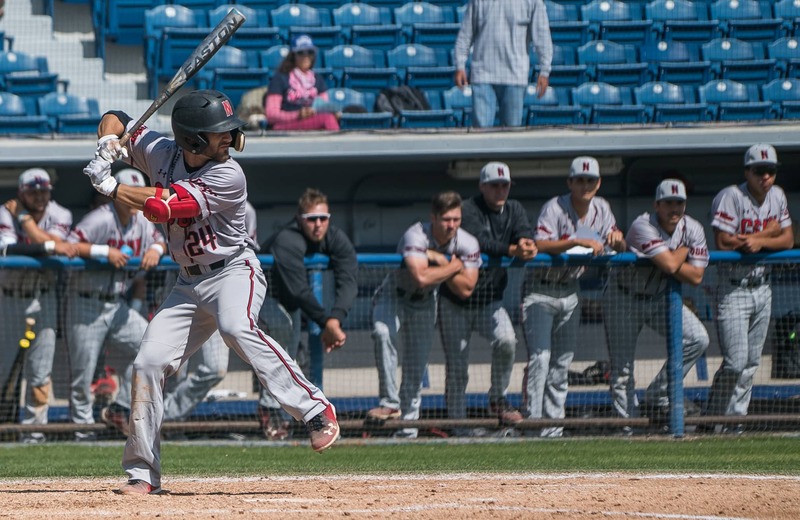 The bats also came alive for the Matadors as they piled up 10 hits and were powered by freshman left fielder Jose Ruiz’s 2-run home run. It was Ruiz’s first hit of the year and it came in a timely manner in the bottom of the 6th inning to put them up 5-2 and held that lead for the rest of the game. Sophomore Elias Orona also picked up his first hit of the year. In the at bat Ruiz refused to let his early slump get to him. Ruiz made some adjustments from the early games to get back on track. 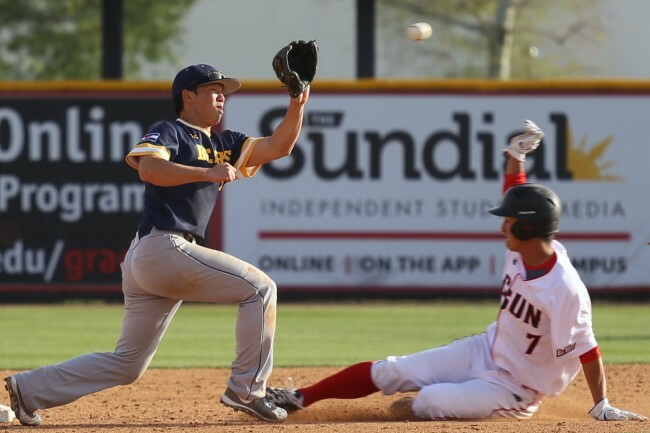 Senior shortstop Yuseke Akitoshi also had a good day at the plate racking up the stat box getting 2 hits, 2 RBI, and a stolen base. 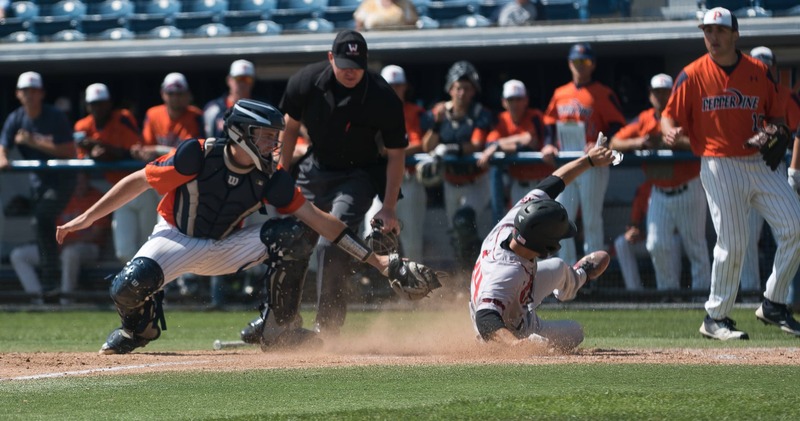 Three other players had two hits on the day including sophomore third baseman Nolan Bumsted and junior catcher Dylan Alexander and junior second baseman Fred Smith. Rayne started off strong only allowing 1 hit through 5 innings. 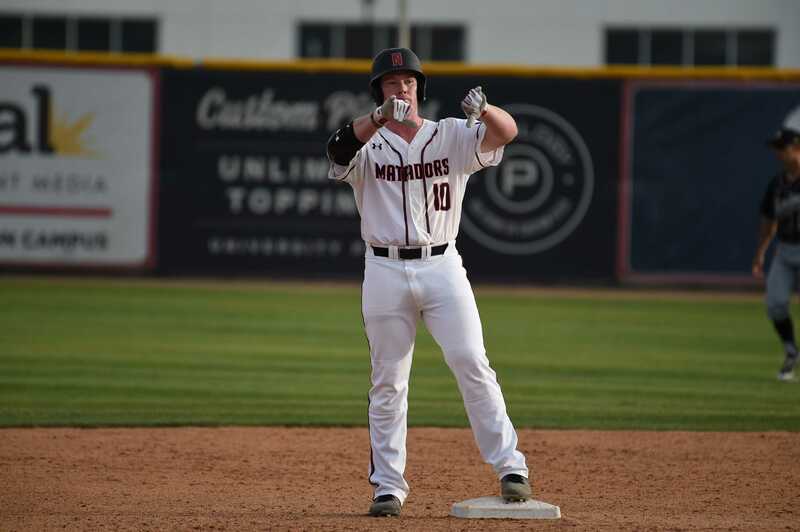 That one mistake happened to be a towering home run to left field in the top of the second by Brett Minnick teeing off on a high fastball but it was only one of 4 hits that Rayne gave up on the day. Rayne’s command was improved over his last outing. Senior Branden Berry didn’t have much success at the plate going hitless but still reached base safely twice in the game making it 14 out of 19 times on the year he has gotten on-base. Northern Colorado switched pitchers early on to Cody Carroll in the third. This proved to be untimely as the Matadors capitalized on him in the 4th by a pair of singles by Alexander and Orona and double by Akitoshi bringing the lead to 3-1. Junior infielder Fred Smith started off the bottom of the third with an opposite field double followed by a triple by Akistoshi to bring Smith in to tie the game at 1 apiece. 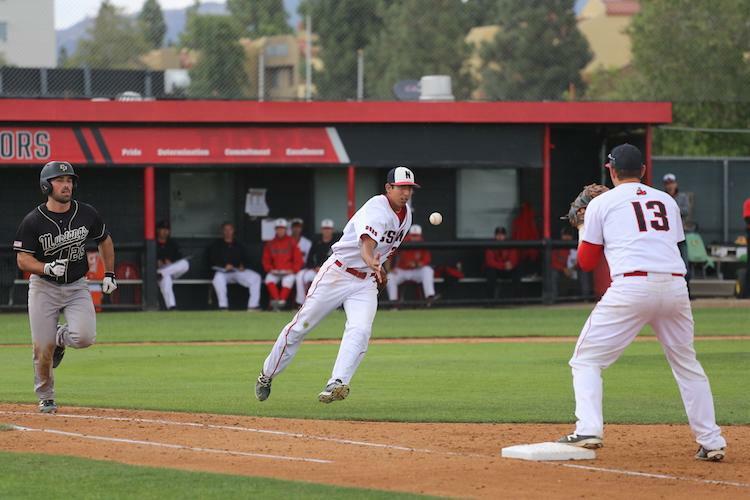 This was only the second triple on the season for the Matadors. There was some controversy in the game on a called strike out by relief pitcher Angel Rodriguez in the top of the 8th. The batter check swung and the umpire called him out, leading the manager to argue the call and eventually got ejected from the game. 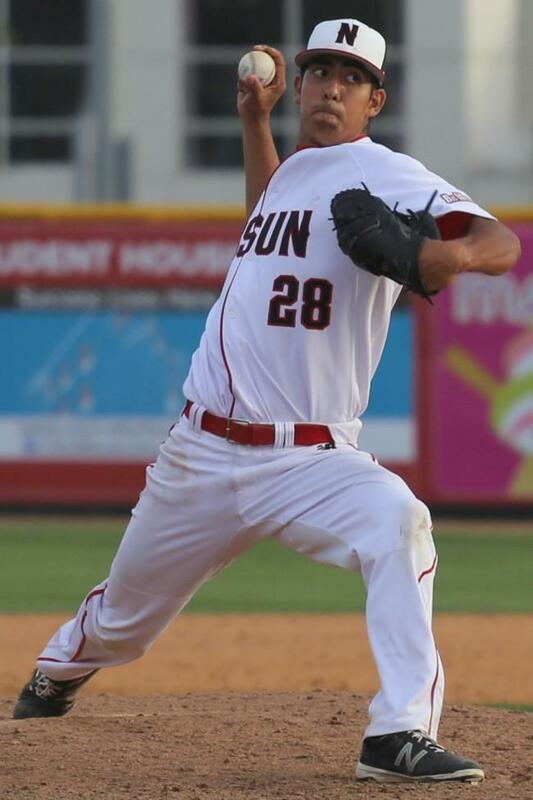 Relief pitcher Connor O’Neil came in the top of the 9th and punched his second save on the year, which is good for 14 career saves for the standout closer. 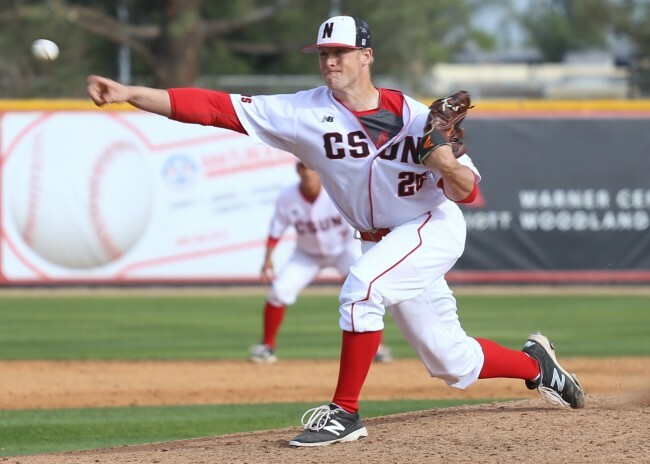 He is now tied for the all-time mark on saves for the Matadors. 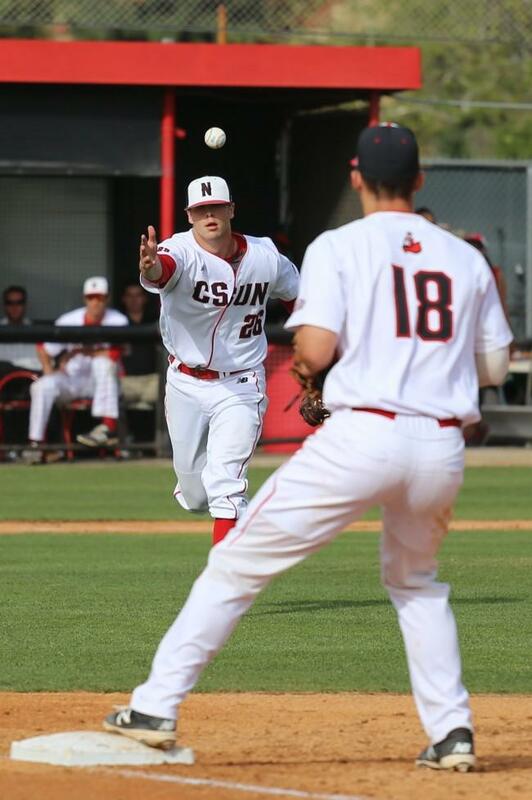 The Matadors come into the doubleheader looking to extend their two-game winning streak. 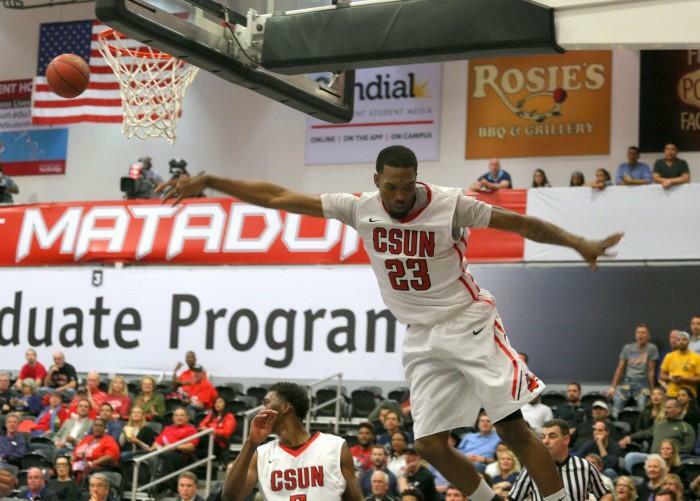 Moore isn’t concerned with the schedule as the depth chart is deep for the Matadors. “Interesting thing about going into a doubleheader and a four game weekend is that we try and figure out how to rest guys. It’s rare that you play all 9 36 innings.” said Moore. 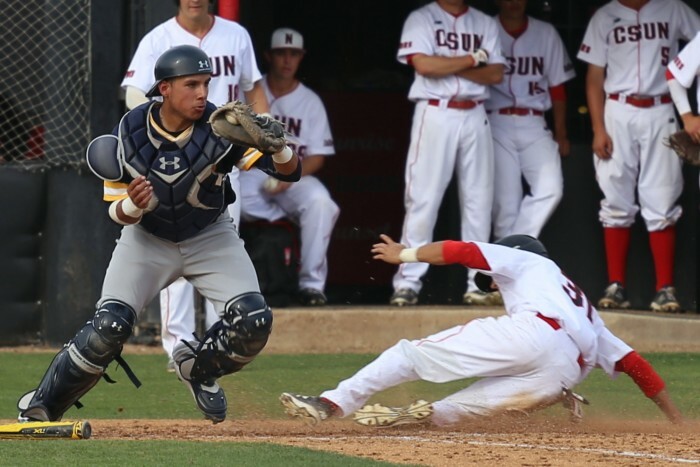 The two teams will play again on Saturday, Feb. 27 at 11 a.m. and then again at 2:30 p.m. at Matador Field.